Students and data science professionals converge at the Brown University DataThon. 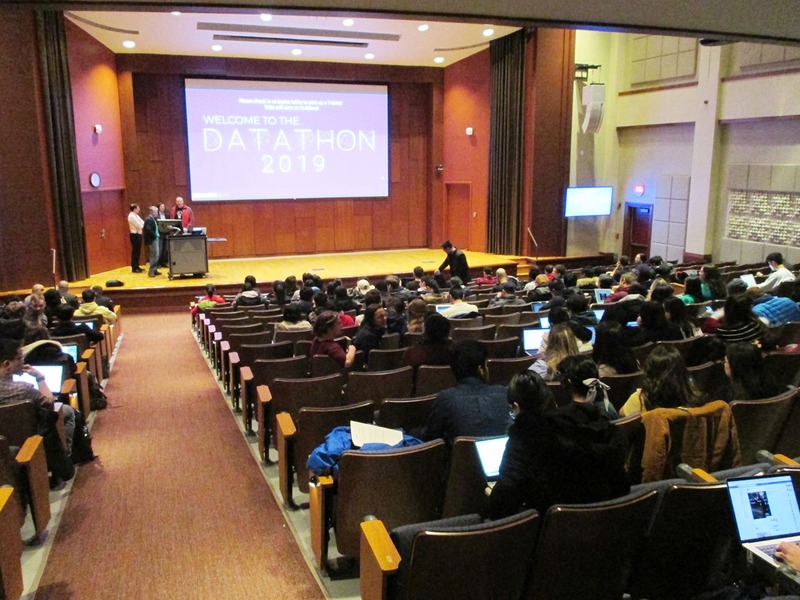 An eager collection of students flocked to the historic brownstones of Brown University’s Campus in February 2019 to celebrate and apply a common passion: data. 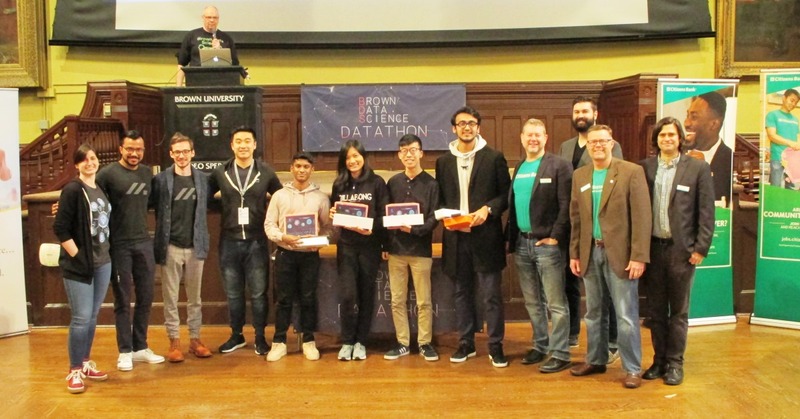 The 3rd annual “DataThon,” organized by Brown’s Data Science Initiative and sponsored by several companies including Citizens Bank, brought together over 300 participants from Brown, Columbia, Harvard and other top schools across the country for a weekend of data discovery. What is a DataThon? A type of hackathon, a DataThon is a timed competition, in which contestants are given large, complex data sets and a related problem and/or opportunity they must address using a combination of analytical skills, teamwork and creative problem-solving. Aside from the contest and glory of winning first prize, the event is a valuable chance to collaborate with other like-minded students from across the country and engage with data science industry professionals of visiting sponsor companies. The weekend kicked off with keynote addresses on a variety of topics in the data science field from several of our top data professionals. 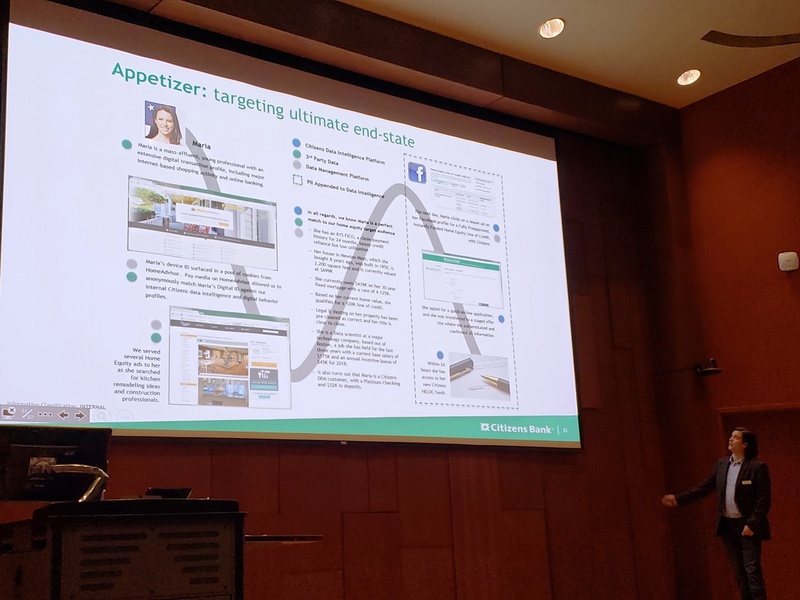 First, Greg, Senior Business Intelligence Manager, Customer Data and Analytics, explained how Citizens uses non-traditional data sources to segment pre-qualified customer segments in real-time, and in a way that protect consumer privacy. Boris, Citizens’ Head of Data Science, followed that with a talk on data-driven financial models, winning strategies and grievous mistakes often made in application of data analysis. Afterword, the data sets were released and teams of students brainstormed how best to approach their given set. Citizens’ problem centered on creating a model that better evaluates the market value of home properties, based on anonymized county municipal data for Massachusetts, Rhode Island and Pennsylvania. Armed with fully-charged computers and a continuous supply of hot coffee, participants settled into a groove as they furiously concentrated on their assignments. Several of our data analytics leaders as well as representatives from our Talent Acquisition group manned a booth in the event hall, answering questions on our data but also fielding questions about our early career programs and opportunities. 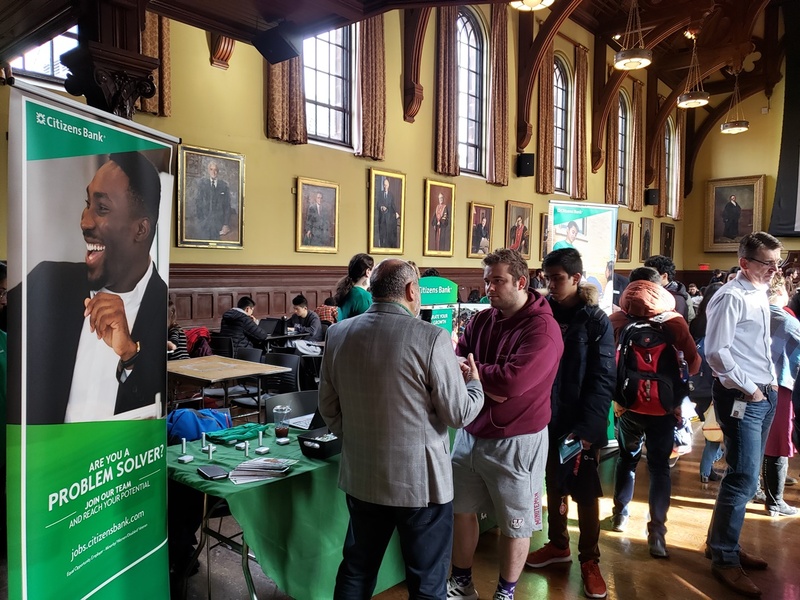 It presented an opportunity to connect with and attract some of the brightest, aspiring minds in the young professional talent market. On Sunday morning, the sleep-deprived but exhilarated contestants presented their findings to a panel of judges, made up of visiting company representatives. About eight finalists were selected to demonstrate their analysis in front of the whole assembly. The judges reconvened once more to announce the top four winning teams, the best of which was awarded four Citizens Bank-branded Apple Watches! Contestants left the DataThon with an assortment of new connections, a renewed passion for their studies, and unique exposure to the practical applications of data in business settings. Our numerous college grad programs are ripe for students and early career professionals who are interested in data science, computer information systems or analytics. Explore our programs today!